Arrow's Lone Gunmen did very well in Canada. Stephen Amell can have some Canadian pride as last night’s episode of Arrow, “Lone Gunmen,” did very well on its first night on the primary CTV channel in Canada. Arrow is also the #1 new show of the season in several key demographics in Canada. Toronto, ON (Oct. 25, 2012) – ARROW was a direct hit with Canadians last night as a series-high 1.8 million viewers tuned in to an all-new episode on CTV, up 27% versus its previous series high (1.4 million viewers). ARROW now becomes the #1 new series of the season for A18-34, M25-54, and F18-34, the #2 new program for A18-49 and A25-54, and the #3 new series overall with total viewers. Last night’s milestone follows on the heels of a full season order, as announced earlier this week by The CW. Shot in Vancouver, ARROW did especially well in Western Canada last night, ranking as the #1 program of the night in Calgary and Edmonton, and winning the night with key male demos (M18-34, M18-49, M25-54) in Vancouver. ARROW led the way for another winning night on CTV. At 9 p.m., CRIMINAL MINDS was the #2 program of the night with 2.3 million viewers. 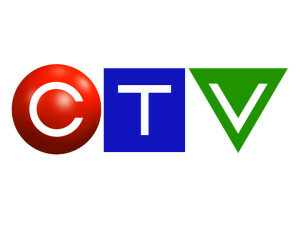 With its highest audience since February 2012, CRIMINAL MINDS was the top program of the night with total viewers in Toronto, Canada’s largest market, and won the night with all key adult demos in Vancouver. At 10 p.m., CSI was the #3 program of the night with 1.9 million viewers. With ARROW ranking #4, CTV won three out of the Top 4 programs in primetime last night with total viewers and the key A25-54 demo from 8-11 p.m. 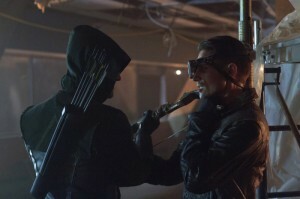 In next week’s all-new ARROW episode, entitled “An Innocent Man” (Wednesday, Oct. 31 at 8 p.m. ET/PT on CTV), Oliver (Stephen Amell) still hasn’t figured out how to get back in Laurel’s (Katie Cassidy) good graces, but a late night bonding session with Thea (Willa Holland) gives him the inspiration he needs. Looking into a suspicious murder case, Oliver realizes an innocent man, Peter Declan (Lane Edwards, SMALLVILLE), was framed by one of the targets on his list. Source: BBM Canada, Fall 2012: 9/24/2012-10/24/2012.